Before I get to the #1 most viewed Ranch Pen post, I’ll just say we’re digging out from the rain/ice-storm/blizzard/ice-storm-again that left the southern plains in a huge mess over the weekend, particularly southwest Oklahoma where we have widespread power outages. Sustained winds from Saturday to Monday morning of 40-50+ mph and higher gusts, plus drifted snow and ice brought the power supply to a screeching halt. We own a generator, so we are all right–good thing since the rural electric company said it’ll be two-three weeks before they get us back on real power. We haven’t been able to get to all the farms to check cattle, yet, but the critters on the home place–dogs, horses, cats, and chickens all survived. The #1 post of the year is the same as last year, How To Get Your iPhone To Read Your Kindle Books And Magazines To You. The fact that this particular post is #1 is as hilarious as last year, considering I recently wasted valuable hours of my life trying to figure out how to update my contact list from iPhone to iCloud so I could have it on iPad. Perhaps I’ll do a techie post about that, too. Who knows? How to Update Your Contact List So You Can Do Your Christmas Cards in Twenty-Five Hours and Thirty Easy Steps might be my #1 view next year. Today is my first ever techie post: How To Get Your iPhone To Read Your Kindle Books And Magazines To You Even Though It Seems Like There Should Be An Easier Way To Do It. (Like straight from the Kindle App. I’m just sayin’.) If you have your Kindle read aloud to you a lot, you might find it handy to have your books read from your iPhone, too. 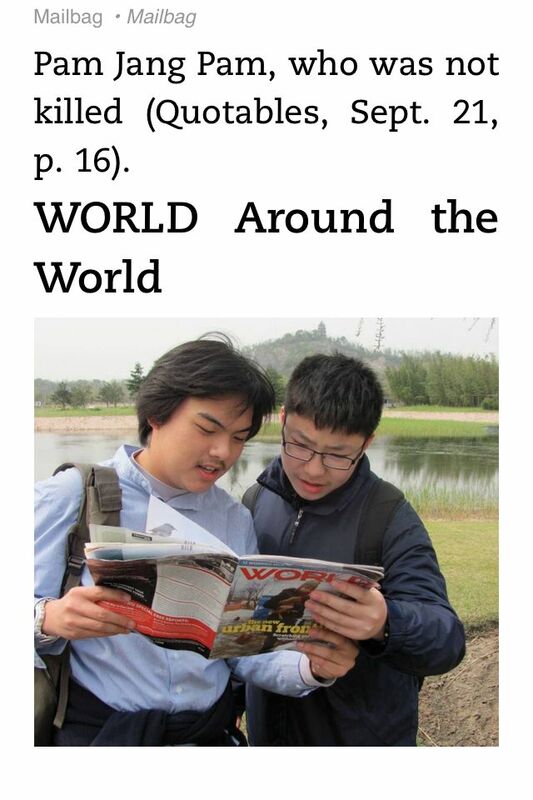 Random screenshot from World Magazine on my Kindle App for iPhone. Your iPhone will read this to you. Everybody who knows me is laughing their heads off that I would tackle a tech issue, but this is something daughter-in-law #2 and I have been trying to figure out for a while. Finally, Eureka! If I’m the last iPhone/Kindle reader left alive who didn’t know how to do this, please be kind–I’m not as young as I used to be. Step#1: Open your Kindle app to the book page or magazine you want to read. Step#2: Quickly tap the home button three times. A female voice will say, “Voiceover on”. Step #3: Swipe two fingers down the screen for continuous reading. Step #4: When you finish, be sure and tap the home button quickly three times. The female voice will say, “Voiceover off”. Step #5: Go ahead and live your life in real time–smell the flowers, play with your dog, look at the stars with your kids. Thank you, whoever made this operation so much simpler than it used to be! There is a shortcut: If you go to settings/General/Accessibility Shortcut (at the very bottom) and check off voiceover – then you can control whether it is off or on with three taps on the home button. If that doesn’t work for you, try the following steps. Step #1: Open your Kindle App to whatever book or article you want read aloud. Step #2: Then hold down the home button to activate SIRI. Step #3: Tell Siri to turn on VoiceOver. Step #4: Hold home button to activate Siri again. Tell her to open Kindle App. She will open Kindle to the page you previously opened. Step #5: Tap the screen. Then double tap the screen to get rid of the Kindle menu. Step #7: When you have finished reading, be sure to de-activate VoiceOver by holding down your iPhone’s home button and telling Siri to turn off VoiceOver. No need to thank any of us down here at the Ranch Pen–especially if we’re the last ones to figure out that nifty trick. Until next time, God bless all y’all and tell your iPhone to read you some good books. As always, thanks so much for reading and I wish you all the best for the coming new year. 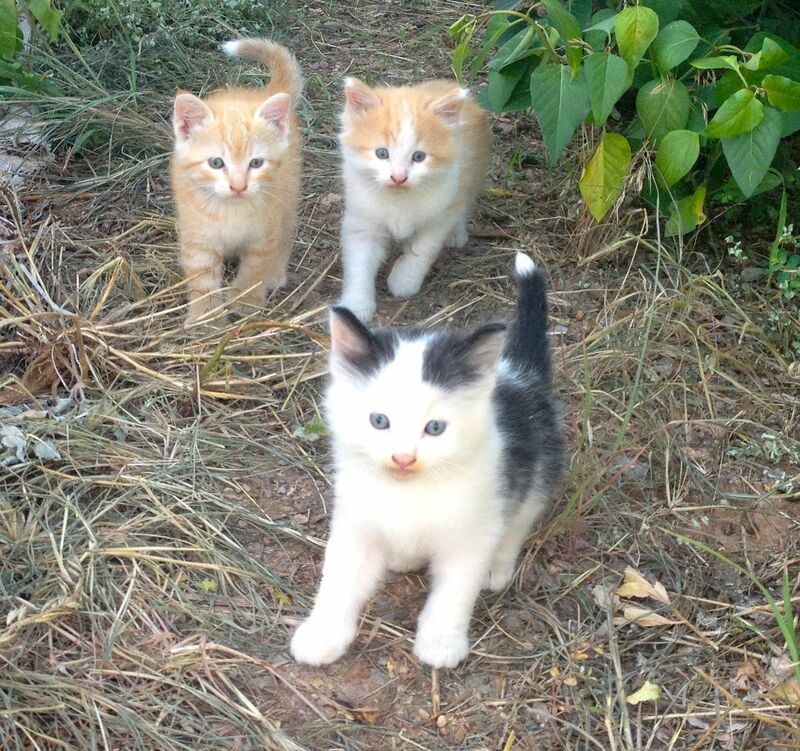 Barn cats have a short life span and the three kittens pictured have already passed into that place where all good cats go. 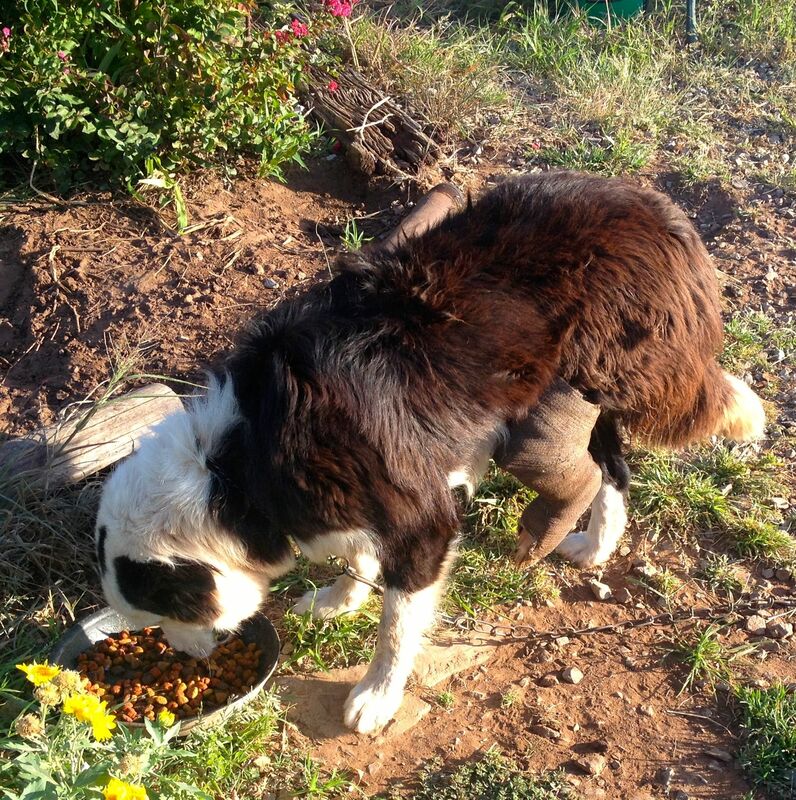 The black and white one–dubbed Dottie–lived a short but happy life with my nieces until she disappeared, I believe. I suspect coyotes got her. The yellow and white one was killed in a traffic accident. I believe her name might’ve been Daisy. The yellow kitty was named Sunny until she chewed off her own tail! and was then named Stubby. She became the mother to three kittens, one of which she ate, one which drowned in the horse tank, but the other–a fine white feline named Flash–survives at this time. Stubby, unfortunately, died in a traffic fatality. I miss her, she was a nice cat. Nellie’s broken leg healed up and she hasn’t tried to bite any more tires, as far as I know. Presently, she is in a knocked-up-by-a-nincompoop condition and should have her puppies any day, now. The fizzled bull did, in fact, go to a slaughter buyer at the livestock auction, and I’m confident provided many pounds of excellent beef protein to the consumer. 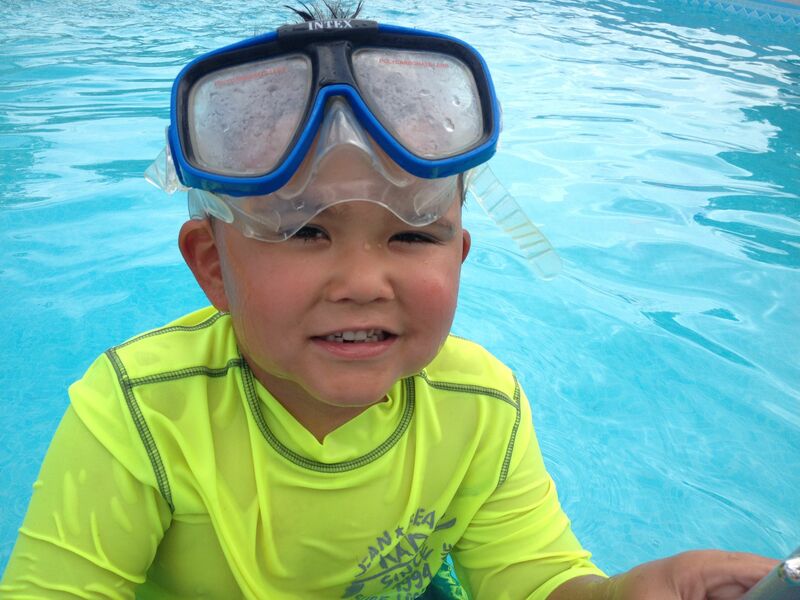 The grandson, Roper, still swims like a fish and Gramps and I are still proud of him. And now, the #2 most viewed Ranch Pen post of 2015, Huffing Emoji and a Fizzled Bull At The Ranch Pen. The blog suffers at times from blog stinkerosis, also known as, the-old-gal’s-got-too-much-goin’-on-and-her-head’s-about-to-explode-look-out!. It’s a real condition. Look it up. You’ll find it under C for crazy ladies. Anyway, to get us off the fourth of July post I’ll rake through some bits of this and chunks of that to see what turns–Oh, hey! I found out something interesting. 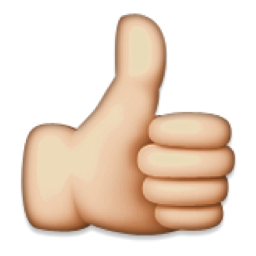 Anybody with an iPhone emoji keyboard ever wondered what this emoji thing is? 😤 My eyes are going the way of the rest of me, and for the longest time (at least a week or two,) I wondered why that emoji thing was chewing on a sock. 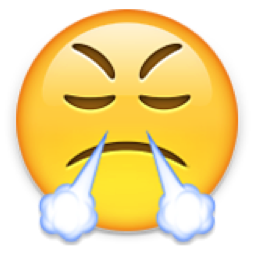 However, daughter-in-law #2 asked SIRI–our professional nag–and she said the emoji is: Huffing with anger face. As always, thanks so much for reading. God bless all y’all and enjoy The Gardiner Sisters doing a beautiful job on What Child Is This. 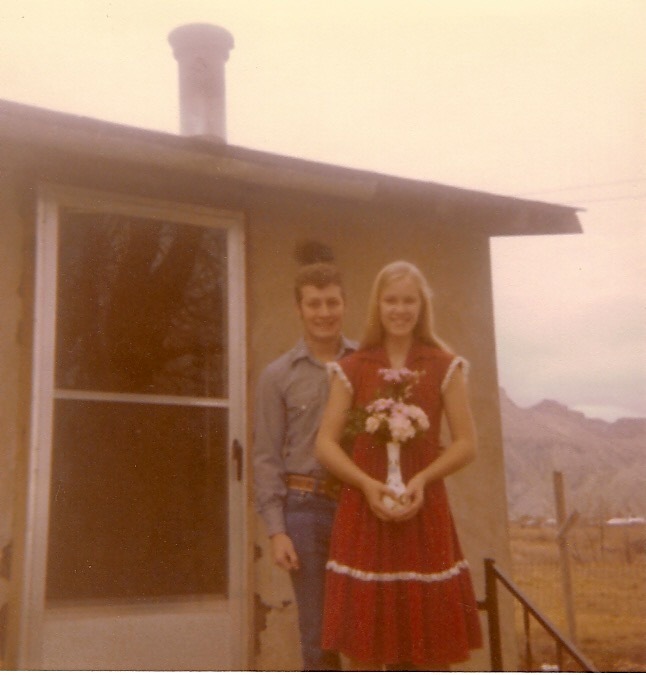 I graduated with honors from the school of hard knocks so felt well qualified to write this third most viewed post of 2015, Countrified Marriage Advice From the Ranch Pen. Thanks for reading it and if you think it’d do any good to some young knuckleheads like the two pictured below, feel free to pass it along. First of all, we were both still teenagers (Gramps, 19, Danni,16) when we made our vows to each other and God, and nobody has the experience or wisdom to weigh all the pros and cons and come up with a lifetime of happiness at that age even if they love each other. So, no. We weren’t super smart. We were real dumb. As for rich, Gramps had his pickup, a job, and a twenty-foot-long camp trailer. I had two fat steer calves ready for butcher, a couple hundred bucks cash, and a bike. Beauty is in the eyes of the beholder and while we were dazzled by each other’s good looks and charm, neither of us ever ended up with modeling agents clamoring at our camp trailer door. Balanced precariously against our slew of disadvantages, we had one real advantage–we were committed to Jesus Christ and our shared belief that God hears and holds us accountable to our vows, taking divorce off the table as an option. Along with divine help, some common sense always comes in handy. Therefore, I have included a partial list of people to avoid including in your matrimonial plans. Addicts of all kinds–you will always come second, or third, or fourth to their addiction. Liars–Liars lie. They’ll lie to you, too. Thieves–Thieves take stuff that ain’t theirs, including services rendered, such as the utilities and items bought on credit. If someone doesn’t pay their bills, that’s dishonest and you can’t respect somebody like that. Cheats–If they will cheat someone else, they will sneak around and cheat on you, too. Lazy bums–A bone lazy person who sits around playing video games all day and breathing up good air instead of tending to business will always be dead weight to you. And everyone else, too. You won’t ever be proud of them. Self-centered morons–you will want to jab them with your fork every day of your life. Shallow–If someone doesn’t care deeply enough about at least one thing that they would plant their feet and take a stand for it against popular opinion, they’ll leave you hung out to dry when you do. Gorgeous on the outside, empty on the inside. Or even worse, rotten at the core–If you judge the book solely by its’ cover, you’re gonna get a rude shock a few years down the road. Disrespectful of human life–Someone who doesn’t respect the dignity of human life from the womb to the grave is not going to spoon feed you and change your adult diapers if you cease to be useful to them. Know-it-alls–Someone who already knows everything is tedious in the extreme and (unbeknownst to them) at a grave disadvantage since life is one, long learning curve. But they already knew that. An abuser–If someone belittles you or hurts you physically before marriage? Yeah. That ain’t gonna get any better. Plus, you might have some kids to worry about after a while. Goober-heads–An occasional small gooberishness is tolerable, but if the person drives you nuts and makes you want to bring a cast iron skillet down on his/her annoying head before marriage, they probably always will. Humorless person–Someone who takes themselves too seriously and doesn’t think you’re funny, either? Avoid them. Sometimes the only thing that makes life bearable is the ability to laugh at yourself and each other. Finally, and most importantly, don’t marry someone who won’t pray or go to church with you–Life is just plain hard and you’ll need all the help you can get. So, there you have it, ol’ Danni’s incomplete list of people not to marry. I hope it’s helpful. As an ultra-conservative Christian woman, I believe marriage between men and women is–and has always been since God ordained it–the foundation of civilization. When a marriage crumbles it’s like a small universe exploding and nobody knows who all is going to get hurt by the fallout. If your marriage is struggling, please don’t give up on it. It’s important in the big picture and if you can save it, one day you’ll be ever so glad you did. *If you are interested in more things you should never do in choosing a mate, you might want to read my book Wailing Woman Creek, the second in the Love Is Not Enough Series. Until next time, God bless all y’all and enjoy my all time favorite Christmas song O Come, O Come, Emmanuel as performed by The Piano Guys. Beautiful. Surprisingly enough–thanks to someone sharing it on Facebook–#4 of the years’ most viewed posts is from a few years back. It is a tribute to my late father-in-law–the most aggravating man who ever lived–and could probably be a study on the complicated dynamics of father and daughter-in-law relationships. I certainly never would’ve guessed I’d miss the old feller every day of my life. Anyway, I hope y’all enjoy the re-run. My father-in-law, Earnest, was a farmer, and one of the most aggravating men who ever lived. Earnest was born during the 1930’s Depression and Oklahoma Dust Bowl into a family of impoverished sharecroppers. His dad supplemented farming by working as a carpenter and on road crews to feed his family, but he didn’t get any richer. When Earnest was thirteen-years-old his dad got sick, so he left school to take his father’s place making a living for his four younger siblings. He hired out as a farm laborer, even plowing behind mules at times. Along the way, my father-in-law learned other trades, including carpentry, which paid the bills much better than sharecropping. 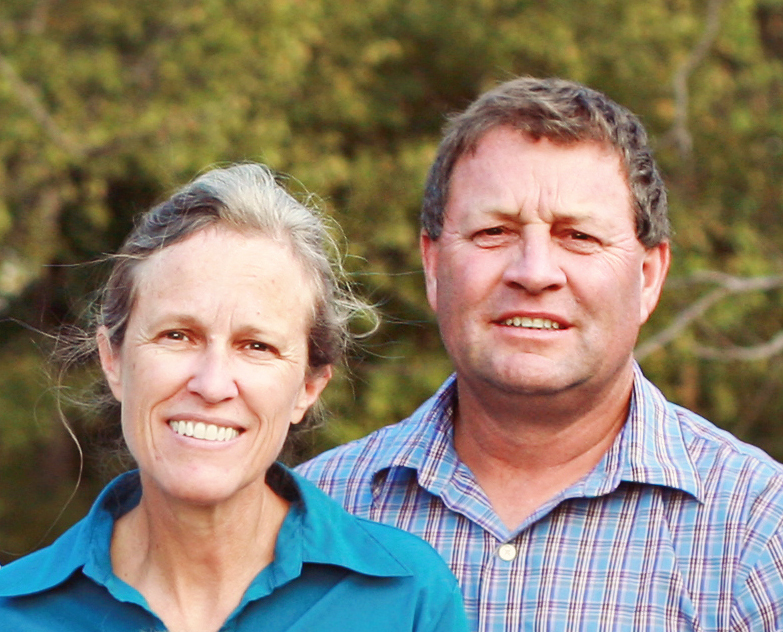 He married and had kids and lived his life, but he loved farming more than anything. He nearly bled red Oklahoma dirt. Finally, in his fifties, he got back into farming with some old machinery and a quarter-section of land (160 acres) on which he grew wheat and cotton. He ran cattle on other pieces of rented pasture and he was as happy as a king with a mighty kingdom. Earnest was stringy and tough, with a work ethic almost unknown today. He was a gifted carpenter and cabinet maker. He actually believed the Bible as it is written, considering the commandments to be…well, commandments…not suggestions. He was violently honest, as in: “Yes, I do, too, owe you this penny. You can either take it, or have it for dinner, but I’m not gonna owe nobody nothin’.” He loved to tease and he laughed uproariously at his own jokes. He loved his family more than his life. He’d give anybody the shirt off his back. He would’ve taken a bullet for me–his daughter-in-law–without hesitation. Still, he was one of the most aggravating men I knew. He called me Snooks. (Imagine. Even today, my sons call me Snooks and snicker.) He stuck his nose in my business and made suggestions. He tried to sneak money to me–or even pay our bills sometimes–when he thought we were in a bind. He teased me when I had unfortunate mishaps with my cooking and many other things. He slipped his three grandsons candy, or coffee, or whatever they wanted. He gave me nutritional advice–he who ate sausage biscuits every morning at the gas station. The two of us used to have heated political debates. An especially lively one was about Ross Perot. If you are less than forty-years-old, you probably have no idea who Ross Perot was, but if you are over forty and a Republican, you remember he was the little guy with big ears and a bigger mouth who got Bill Clinton elected instead of George W Bush’s old man, George H W Bush. I tried to tell Earnest he was throwing his vote away on Ross Perot, but once he got something stuck in his head, he’d waller it into the ground. Technology baffled my father-in-law. The first cell phone he bought in 1998 took all my patience to watch him try to get it hauled out of the front pocket of his bib overalls, flip it open, and try to figure out how to answer. Every time. I mean, he wasn’t trying to de-fuse a bomb, or anything, was he? And then he yelled into the device like the person he spoke to was across the seas. 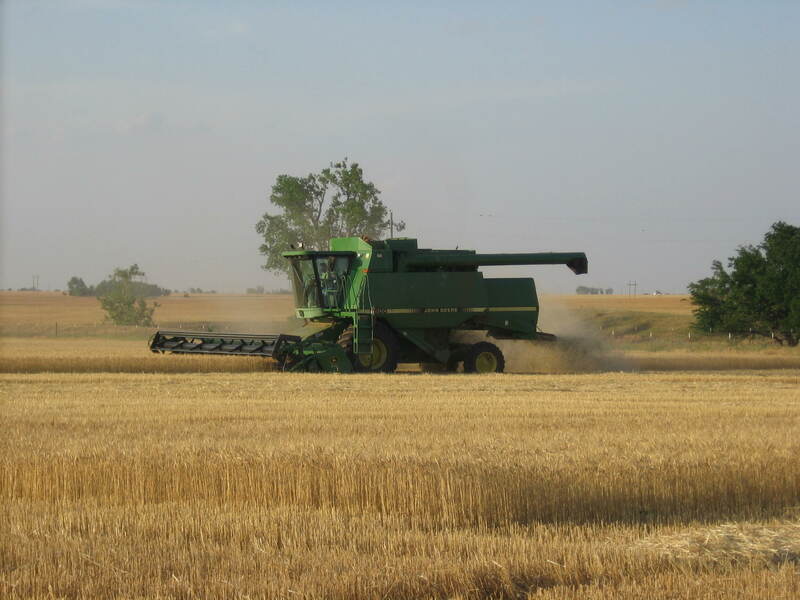 As someone who had plowed behind mules and worked on a harvest crew–using open topped combines and moving wheat with shovels instead of power augers–a combine like ours (below), was a marvel for him to behold. 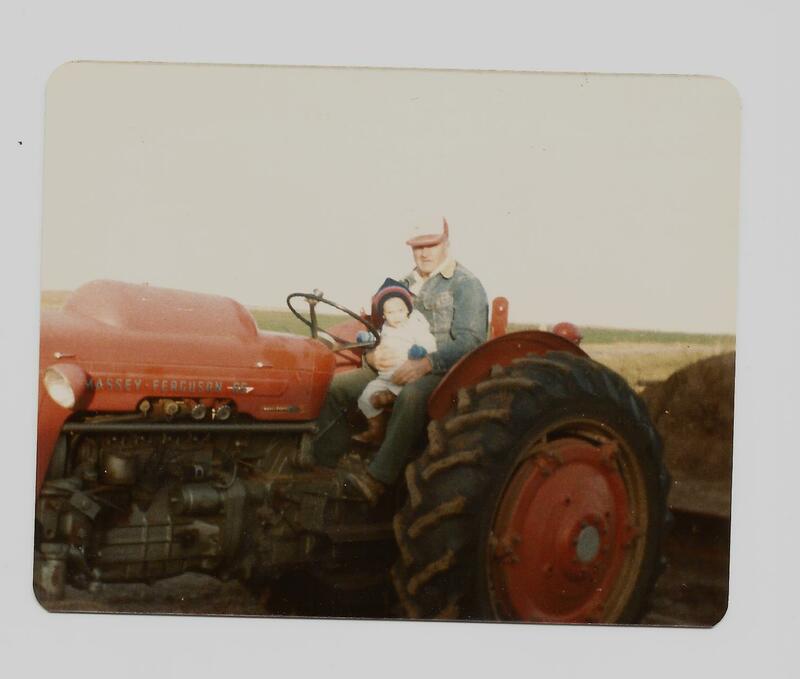 He’d go on and on about Gramps’ and my marvelous farming equipment, while to me, we owned aging pieces of junk that cost us a fortune in repair bills. The most aggravating thing my father-in-law did, however–hands down–was sometimes when I’d stagger out of the bedroom about daylight, he would be sitting on the couch reading the High Plains Journal. He’d look at me in all my affronted glory and make some remark about me sleepin’ all day. Then he’d laugh his head off, tickled to death. Very, very annoying. The years passed and I was busy. I couldn’t pay attention to him all the time. Besides, aggravating old farmers tend to live forever, don’t they? I don’t remember when he stopped teasing and laughing. When he lost interest in his cattle and how the cotton crop was shaping up. When he stopped sitting on our couch at daylight. Just, somewhere along the way, he gradually turned into a dried up old man who wasn’t happy anymore. I wasn’t wise enough then to see the agricultural, social, and technological revolutions he’d lived through in his lifetime had left him behind. Confused and alienated, he longed for a simpler time. He died in 2004, but if he’d lived he would’ve been eighty-years-old last Sunday. And y’all want to know the strangest thing about that aggravating old farmer and me? He gave me many of the best parts of my life–and now that it’s too late–I’d give everything I own to walk out of the bedroom about daylight some morning and find him sitting on my couch again. At any rate, thank you all very much. In case you want to know, my hair is still a mess, and Gramps and I remain perpetually baffled looking as you will be able to see in the picture at the end of today’s post. 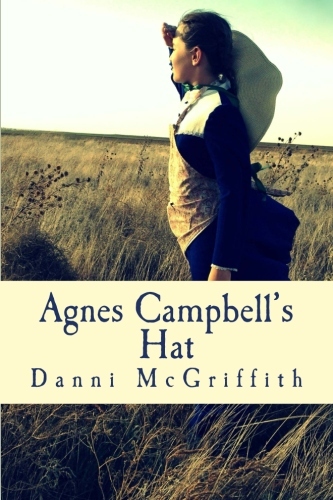 Danni McGriffith is the author of Agnes Campbell’s Hat–a novel for middle grade and young adult readers–as well as The Cedar Tree and Wailing Woman Creek, the first two books in the Love Is Not Enough series about two ranching families set in western Colorado. 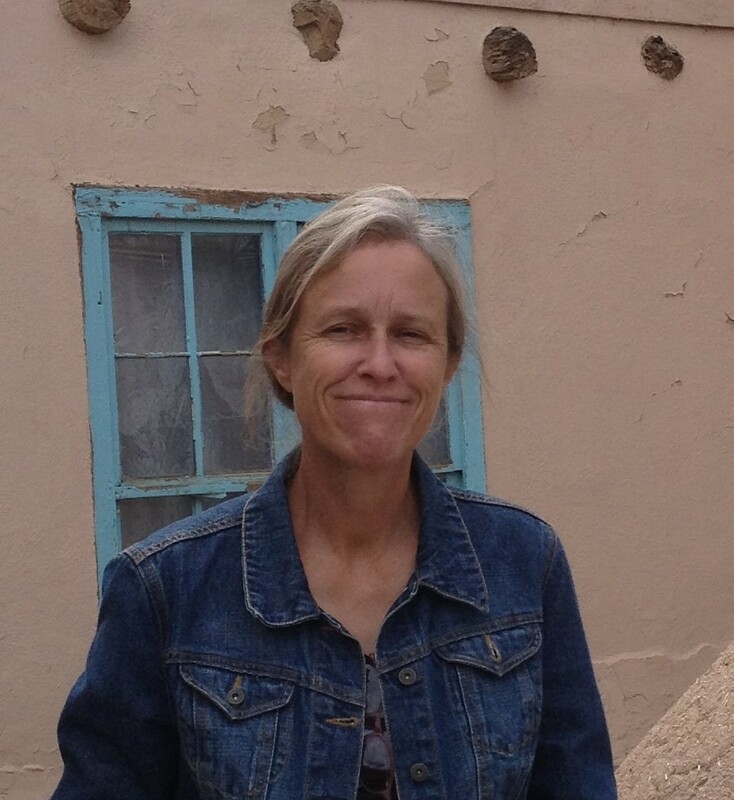 She blends a lifetime of experience with farm and ranch life, humor, and her Christian worldview into the stories she writes. Presently, she is working on the third book in the Love Is Not Enough series. Danni home-schooled her three sons for sixteen years then finally graduated the last one and retired from that endeavor. After that, she started writing in earnest, unwilling to waste all those years of english classes. 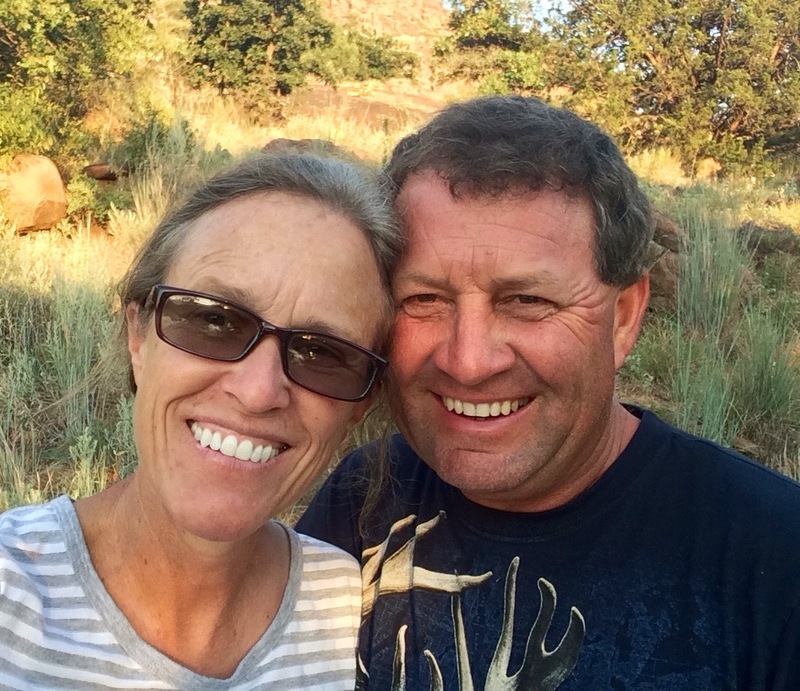 Most of what she writes is politically incorrect but realistic Christian fiction, incorporating her lifelong love of horses, farming, ranching, and the Lord Jesus. She generally writes and blogs with her tongue firmly in her cheek because her foot is taking up the rest of the space in her mouth. Danni and Gramps have been married 34+ years. They have three grown and married sons and seven grandkids featured on the blog from time to time–Kevman, Blondie, Roper, Eisnstein, Git’R’Done, Ladybug, and the newest member, Tater. Until next time, God bless all y’all and enjoy Casting Crowns doing one of my favorites, I Heard The Bells On Christmas Day.